Ghanaian photo journalist Senyuiedzorm Adadevoh has mounted a three-day exhibition and auction of some of her finest works to raise money to provide footballs for deprived communities. The exhibition which was launched in Accra on Wednesday evening will see some of Adadevorhâ€™s most impressive action pictures traded to the general public to raise funds for her personal initiative. 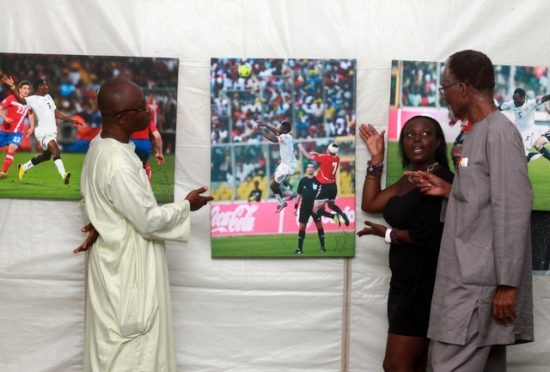 Some of the pictures on display are shots of Black Stars players in recent tournaments and crucial qualifying matches. The featured pictures have been printed on quality canvass material made in Ghana and autographed by their subjects which include Asamoah Gyan, Stephen Appiah, Sulley Muntari, Michael Essien, Andre Ayew and Kevin-Prince Boateng. Most of the pictures being traded recalls some of the most memorable Black Stars moments including Ghanaâ€™s impressive performance at the 2010 World Cup in South Africa, the historic friendly against England in Wembley, the 2012 and 2013 Africa Cup of Nations and crucial 2014 World Cup qualifying matches against Zambia and Egypt. The launch which was conducted by Professor Attuquaye Okine was hailed by the invited guests who will have to wait from Thursday to make bids for their favourite portraits on show. The star of the night, Senyuiedzorm Adadevoh shared the inspiration behind her initiative to use her profession to help develop the game of football especially in deprived Ghanaian communities. â€œI have done this work with all of my heart and I believe it is time I use it to try in my own small way to do something good for the communities,â€ she said at the launch. â€œI watch all kinds of football matches, from gutter-to-gutter to the big matches at the stadium and I realized that most of the kids donâ€™t have even a football to play with. â€œEven club administrators complain of the lack of footballs for their teams how much more these kids in these communities. 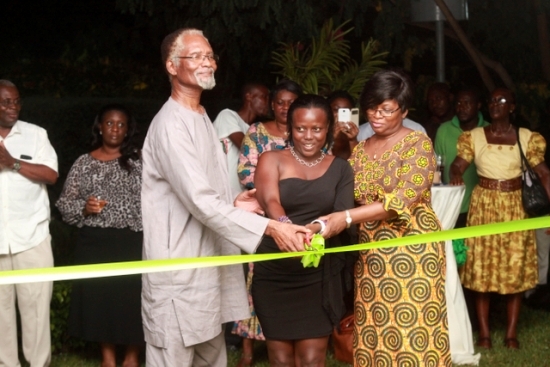 The exhibition and auctioning of the pictures will continue until Friday in Cantonments, Accra.